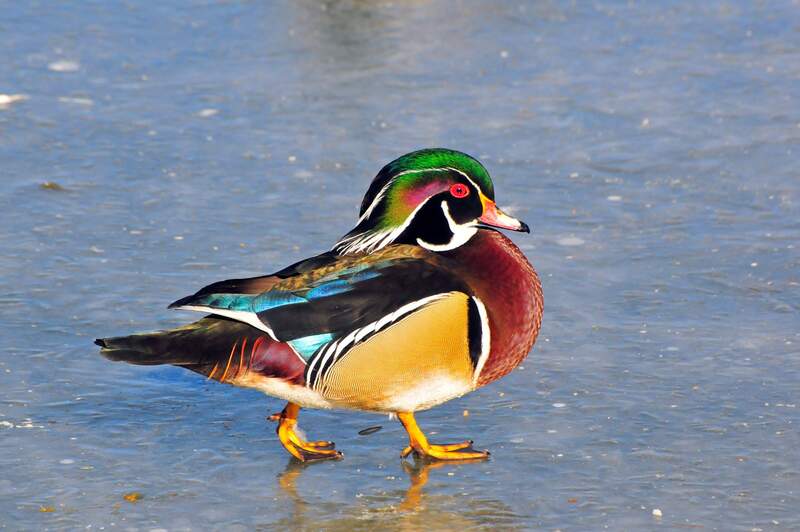 A wood duck was sighted during a previous Cortez Christmas Bird Count. 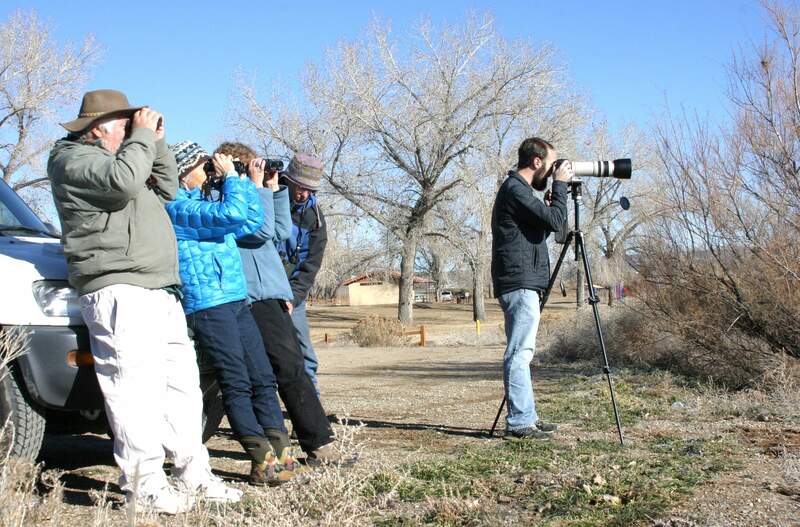 Birders enjoy the day at Denny Lake during a past Cortez Christmas bird count. From left are Fred Bird, Deb Gardner, Lynn Dyer, Lew Matis and Ben Robinson. 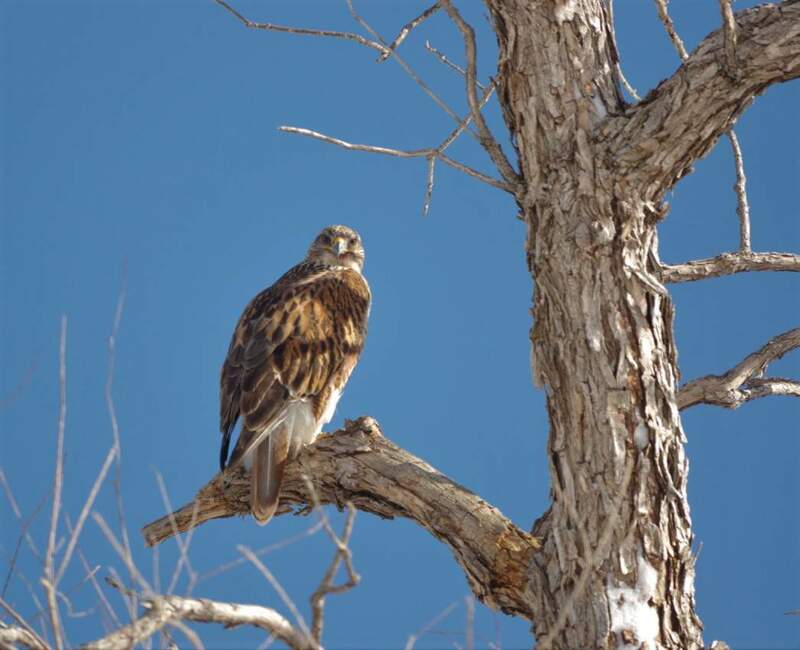 A ferruginous hawk is spotted during a previous Christmas Bird Count near Roads V and 20 in Cortez. The 2018 Cortez Christmas Bird Count will take place at 7:30 a.m. Dec. 29 beginning at the Cortez Cultural Center, 25 N. Market St. Participants will be divided into groups to survey areas of Montezuma County and Cortez by carpool. Birding stands among Colorado’s most popular outdoor activities during spring, summer and fall. However, colder temperatures and snow do not terminate birdwatching activities. The winter bird counts in Southwest Colorado will be submitted to the Audubon Society database and are part of a nationwide effort. The count is open to anyone, and beginner birders are teamed up with those with more experience. Spotting scopes will be available, and participants should bring binoculars, camera and lunch, and wear warm clothing. Birders will be divided into groups and fan out into different areas of the county for half-day or daylong excursions. “It is an excellent opportunity for birders new to the area or anyone interested in birds to become acquainted with local species,” according to a news release. The winter season enhances opportunities for encountering year-round avian residents such as Northern Flicker, Lewis’s Woodpecker, Steller’s and Scrub jays, Spotted Towhee or White-breasted Nuthatch. Dark-eyed juncos, gray-crowned rosy-finches and mountain chickadees descend from alpine habitats into lower elevations, while other species, like the northern shrike, might arrive as a migrant from far northern regions. Robins and bluebirds often take refuge within protective arroyos, canyons and valleys. Sandhill cranes headed toward playa wetlands around Wilcox, Arizona, have passed through the Four Corners during the 12 days of Christmas. St. Pierre said some less common species seen during previous winter counts include greater whitefronted geese, wood duck, swamp sparrow and white-throated sparrow. The first birding records within the Four Corners date to the 1880s. In 1900, the Audubon Society launched its first official national winter bird count. Known today as the Christmas Bird Count, the annual event provides critical data pertinent to species viability within designated regional locales. Teams of birders scour pre-established map segments to count species and many birds of each species are observed. The data provide insights into the stability of local populations, influx of species, absence of common species and other factors that support an overall understanding of the distribution and well-being of avian populations throughout North America. The Durango Bird Club will conducts a count on Sunday. Visit the club’s website for more information.